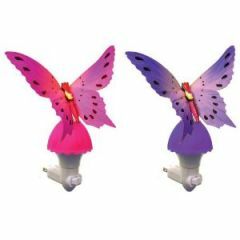 The mystic quality of butterflies is captured in this fiber optic butterfly night light. 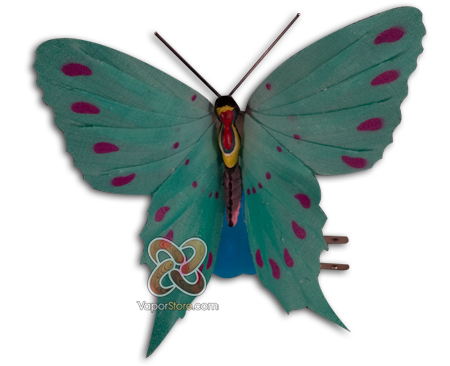 Perfect for the butterfly lover in your life. Fiber optic powered, no batteries or light bulb to replace. Plugs into any standard wall outlet. The Color Changing Fiber Butterfly night light will give you hours of enjoyment. Great as a night light. Color Changing will reflect on the tip of the fiber wing. Just plug into to the wall socket and see it glows. The picture doesn't do it justice as you can't capture the myriad of colors that you see! My granddaughter and I love this nightlight. The photo doesn't do it justice. My girls love these night lights! My girls love these night lights. And I love the vaporizers and how they make me feel!! !